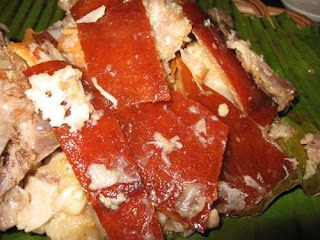 My favorite is lechon baboy because the skin of it the "kubal" is very crispy and so yummy. the fat also is very delicious its really one of my favorite. crispy pata also is so crispilicious but for me its look so dry without a fat. that's why i will not change lechon baboy as my favorite although "humba" is my most favorite. for you guys, which is more delicious crispy pata? or is it lechon baboy? Well for me, I can say that both are delicious. But I like lechon more than crispy pata. I like its taste. I like roasted meat with tasty gravy. I also eat crispy pata but not as much as I do with lechon. As my own opinion i think if all people here in this earth will be given a chance to tryand taste "Lechong baboy", they will surely also love this food and i think that there will be a big chance that many foreigners and tourist will go visit our country because of the good taste of LECHONG baboy. As i know, many Filipino and other people, especially those rich people spend a big amount of money just to taste many kinds of food, which is good for their taste and they really enjoy eating the food, if the really like it. Sometimes they just go ask with the one who cooked it, about how to make that food,because they really like it. 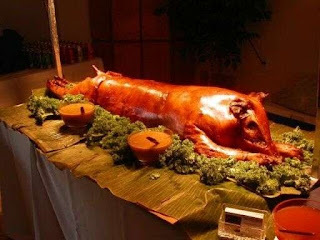 But being practicality, if the only choice is "CRISPY PATA", i will also go with this food because of the reason PATA is also a part of the body of LECHONG BABOY that's why, it also have the same taste. In logic if i love LECHONG baboy it means i also love PATA because Pata is part of lechong baboy. I hope you get my point my friend. Ako rin, paborito ko ang litson baboy, lalo na yung balat.. krisping-krispi..
Hehe. nice posts. Add po kita sa blogroll ko ha.